Reparative surgery of the mitral, aortic and tricuspid valves. Combined valvular and coronary surgery. Valve replacement using mechanical and biological prostheses without using stents and homografts. Coronary surgery with or without CEC. Education MD, University of Seville (1976). PhD in Medicine, Valencia University (1986). Consultant in Cardiovascular Surgery at La Fe Hospital in Valencia (1980). Intern physician at the Macarena Hospital in Seville. Cardiology Services, Coronary Care Unit and Cardiovascular Surgery (1976). 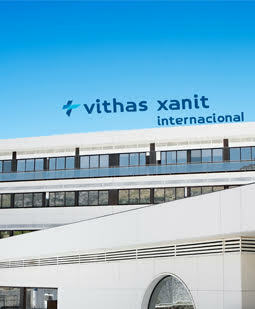 Consultant for the Cardiovascular Surgery Unit at La Fe Hospital Valencia. (1980-1987). Area Consultant in Cardiovascular Surgery at the Carlos Haya and Virgen de la Victoria Hospitals (1987-2010). Head of Cardiac Surgery at the Virgen de la Victoria Hospital in Malaga (since 2010). Lecturer in Cardiovascular Surgery at the Faculty of Medicine, Malaga University (2011). Visiting lecturer at the Mount Sinai Hospital in New York (USA, 1988). Certifications European Board of Thoracic and Cardiovascular Surgery (Netherlands, 2002). Memberships Founder and President of the Andalusian Society for Cardiovascular Surgery. Founder and President of the Andalusian Foundation for Cardiovascular Surgery. Member of the Executive Committee of the Spanish Society for Cardiovascular Surgery. Awards Santander Bank Prize (Madrid, 1985). Best short conference, 3rd meeting of the Valencian Cardiology Society. Benicasim (May, 1986). Luis Castillon Prize for the best short conference (Cordoba, 2001). Luis Castillon Prize for the best short conference (Malaga, 2003). Best article published in the Spanish Journal of Cardiology (2010).